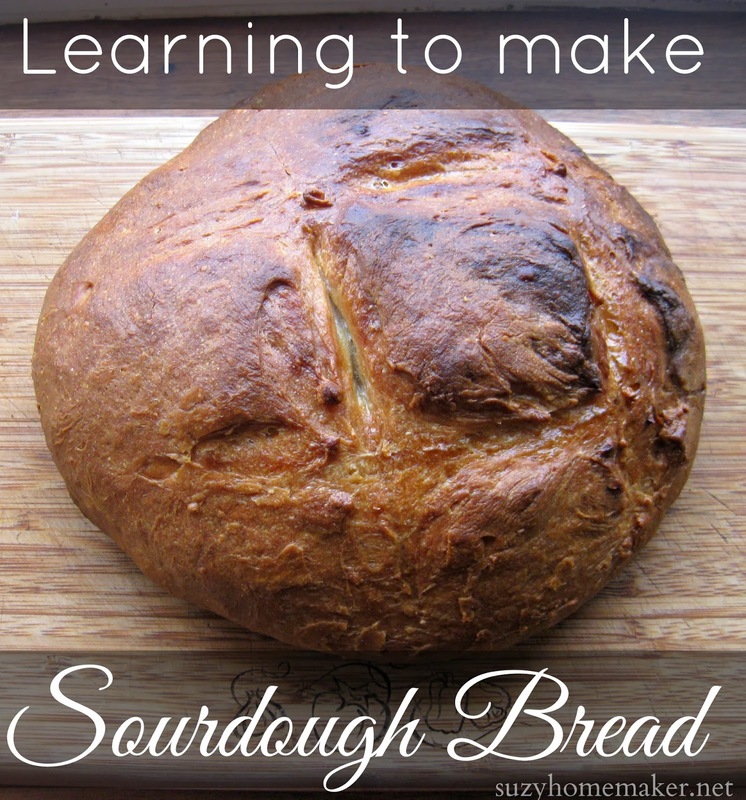 I titled this post learning how to make sourdough and not how to make sourdough because I am still in the learning process. However, I am so excited with the results so far, that I really wanted to share. The above loaf is my 2nd attempt at making sourdough. The first attempt was a dismal failure. But I did not want to give up. 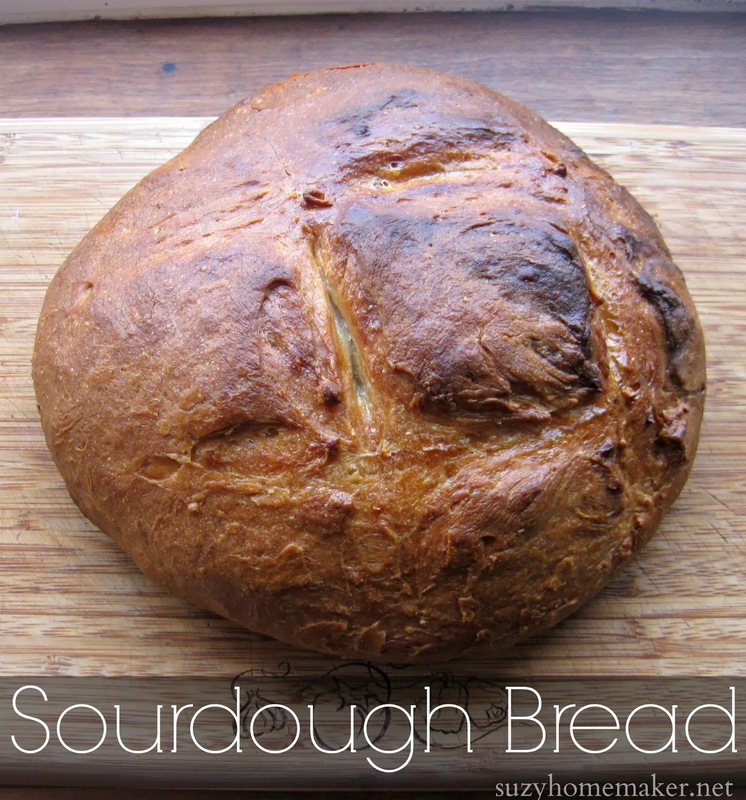 I wrote last week about how sourdough is a real food. Store-bought loaves have been a part of my real food kitchen, but they are more expensive than homemade and there is no guarantee that they are using traditional fermentation techniques, which makes sourdough healthier. So I have been on a quest to make my own. I have tried to make starter before and it would either never sour, or it would mold. So after reading the Simply Sourdough book several times (great book & affiliate link) I dove in. I referenced this book every single day, usually twice a day while I was feeding my starter. It was so helpful. She suggests using pineapple juice in case you may have mold. I took this advice since the last batch I made did get mold. But this time...success, I had no mold. I guess we don't have good bacteria in our house so the pineapple juice really helped. Now there are a ton of articles online on how to make sourdough starter. There are even some that say it only takes a day, but I truly believe that in order to have a strong starter that will make your bread rise and help decrease the phytates and anti-nutrients in the wheat, you need to let your starter grow a while. In the book, she talks about feeding it for 10 days. I was able to bake a loaf with some at day 6. It was not as sour as I like, but it tasted great. I personally don't think people will have as much success doing a one day starter. Prepare to be in this for the long haul. It'll be worth it. I used 2 different recipes. Sometimes I think reading the same information from different sources can help the level of understanding. I combined the information from the recipes in the book, along with a recipe from this site. I liked the idea of weighing the ingredients. So I decided to weigh instead of measure the ingredients. I don't know that it would make a big difference, but I do have to say that dumping ingredients onto a scale instead of measuring them in cups is so much easier. I think I am going to be weighing much more often from now on. The BEST bread I have ever eaten, truly. Not only did it look spectacular and fancy, it tasted great; addicting. I wanted to keep eating it. I am so excited to no longer have to buy sourdough bread. And I can't wait to use an older starter that may be a bit more sour. I love really sour sourdough bread, with a really hard crust. Although I am still learning, I am so happy with the results so far. I would love to say I will never buy store-bought sourdough again, but...well, it may happen. But I am sure it will not taste as good and I will long for a homemade loaf fresh out of the oven. And just in case you didn't get a long enough look, here is (in my opinion) my beautiful sourdough.